Denim lapis is a beautiful variety of this variety of stone, named after its resemblance to the color of the popular fabric. 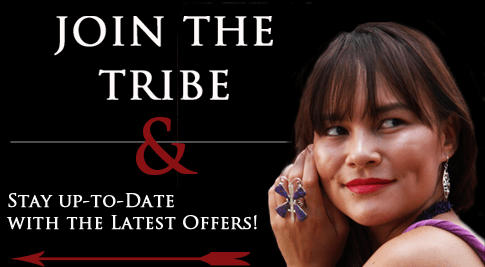 At SilverTribe, we have a great inventory of Native American pendants to suit any style or budget. We work with some of the most talented artists in the business to bring our customers the best selection available. Nothing complements a sterling silver chain like an authentic denim lapis pendant. We carry dazzling pendants from tribes such as the Zuni, Navajo, Pueblo and Hopi, all of which have their own individual style and technique. Whether you are looking for a traditional Kokopelli denim lapis pendant or one featuring a sky blue stone centerpiece, we have the right item for your needs. An inlay denim lapis pendant may feature several tone varieties, or different shades of the same stone. Either way, the result is stunning. Explore our collection of denim lapis pendants to find a perfect addition to your wardrobe. Our artists produce some of the most sought after denim lapis pendants on the market.